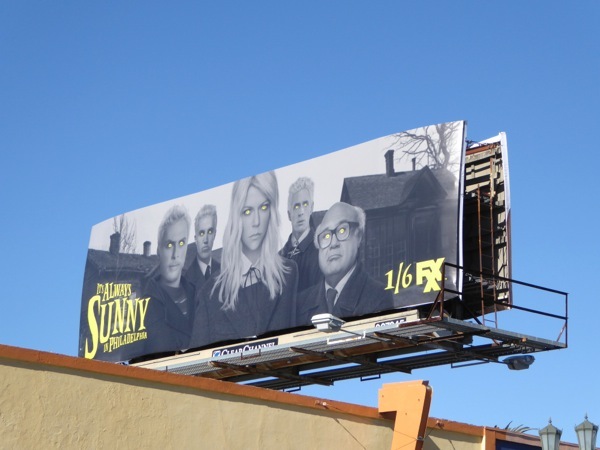 Whether they're posing for family portraits, having an existential crisis, or rock 'n' rolling it out of the park, the cast of It's Always Sunny in Philadelphia always bring something fun and interesting to the city skyline, just like this latest homage for their eleventh season to the Children of the Corn. 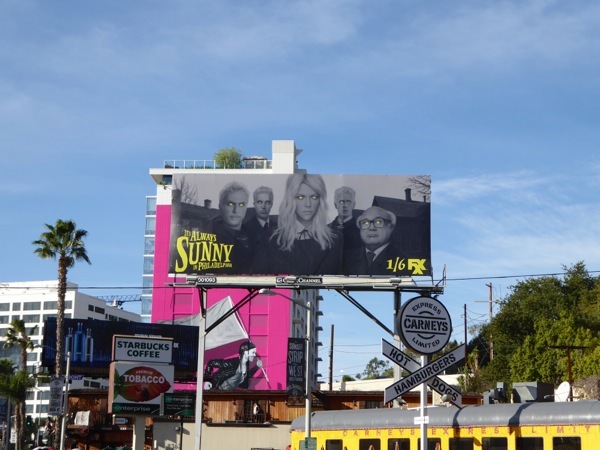 Do the people at FXX want us to believe that 'The Gang' from Paddy's Pub are capable of horrific, unspeakable acts with this ad creative? 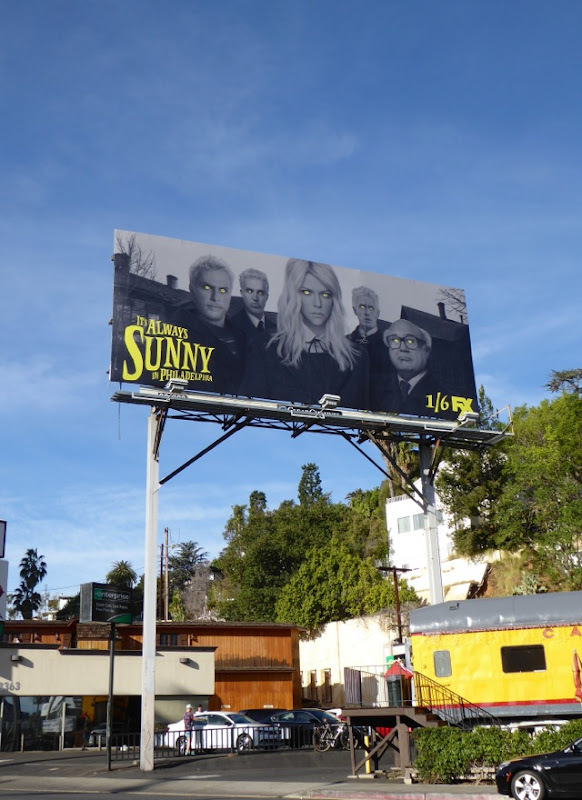 This season eleven parody billboard for the long-running comedy was spied along the Sunset Strip in West Hollywood on December 5, 2015, and if you're a fan of the show, be sure to also check out these previous season promo billboards for It's Always Sunny in Philadelphia. 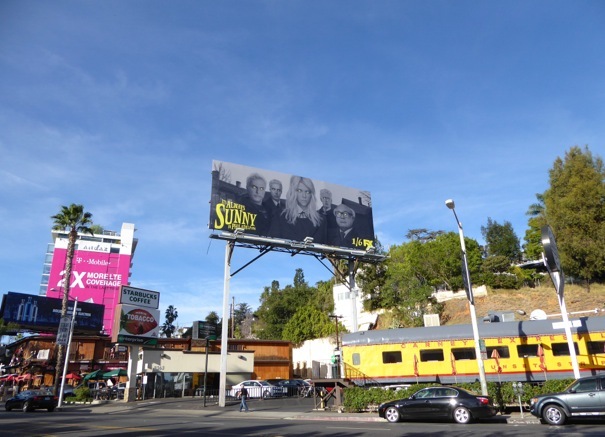 Now be afraid, be very afraid, of laughing too hard (just don't look at their eyes). 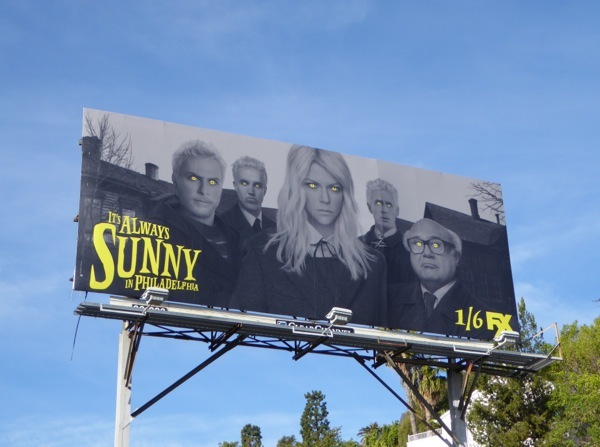 UPDATED: Here's another of the wickedly clever ads for Always Sunny's eleventh season. 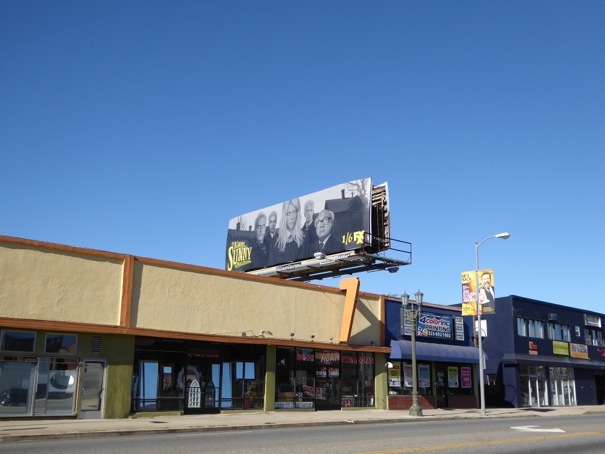 This billboard was snapped haunting the skies of La Cienega Boulevard on December 26, 2015.